Super simple salad that requires high quality ingredients. 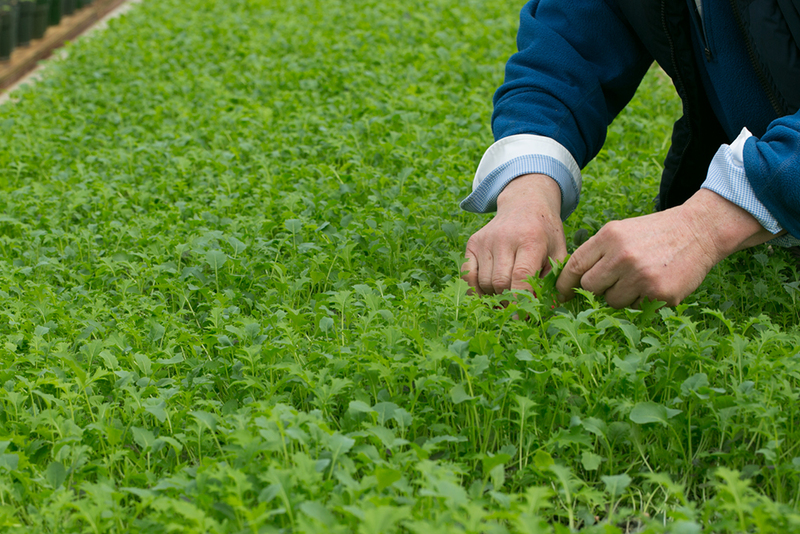 Eli used a variety of micro kale and micro arugula. 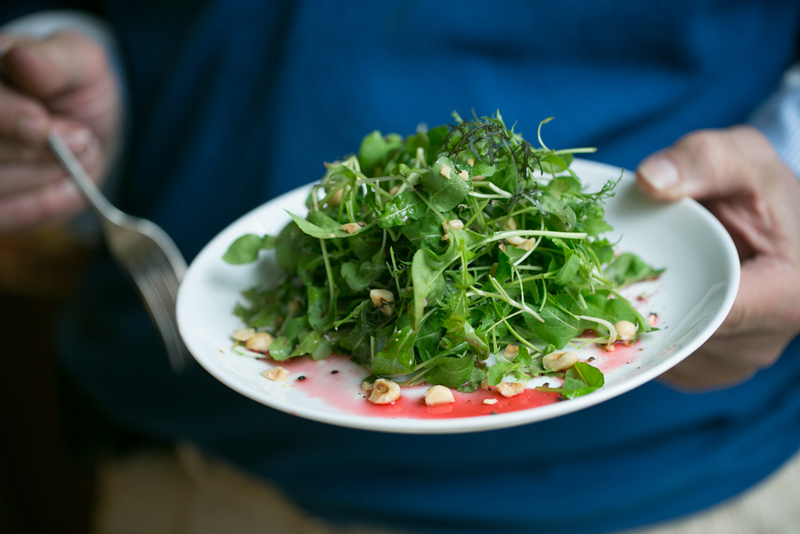 Wash and gently dry your microgreens. Be sure not to manhandle them, they are delicate. 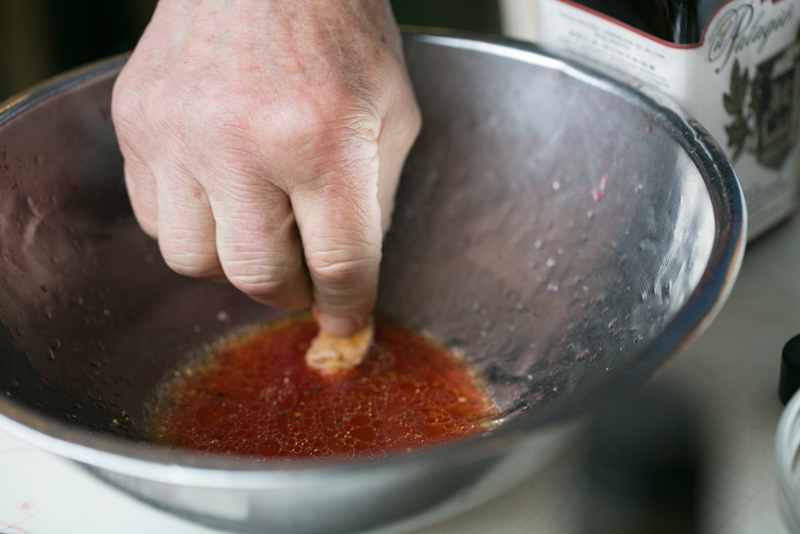 In a large mixing bowl, combine rosé vinegar with grapefruit juice and 4 tbs of olive oil. Add cracked black pepper and a pinch of flakey sea salt to the mixture and whisk to combine completely. Now dip a piece of bread in there to taste it (you won’t regret it). Roughly chop your hazelnuts, or, smash them with the flat side of a large kitchen knife. Toss your greens into the bowl and gently move them around in the dressing to evenly coat. 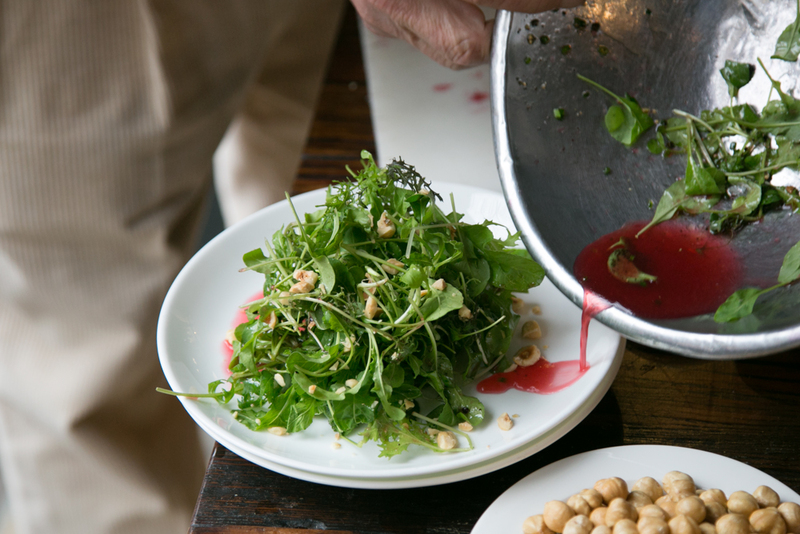 Pile them on to your salad plates, top with hazelnuts and pour remaining dressing in a pool at the base of the salads. Season with salt and pepper at the end to taste, and drizzle with an extra bit of the finest olive oil if need be. 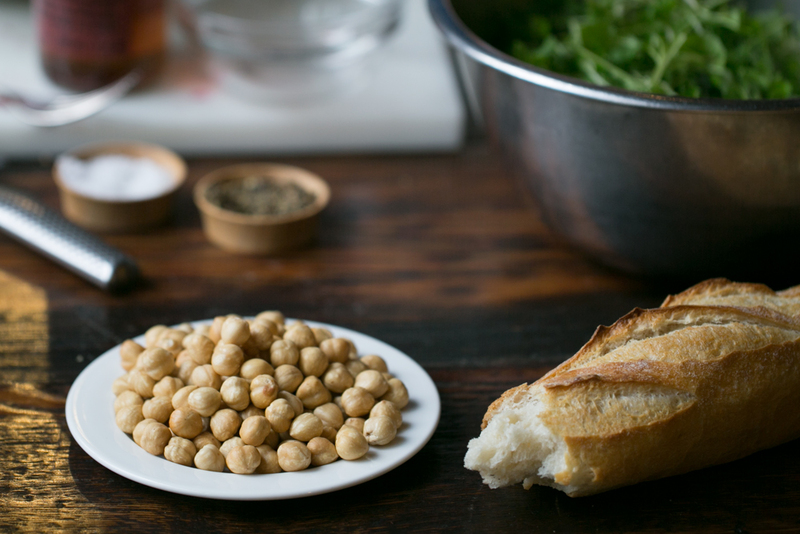 Serve with freshly baked Eli’s bread to sop up that juicy vinaigrette. 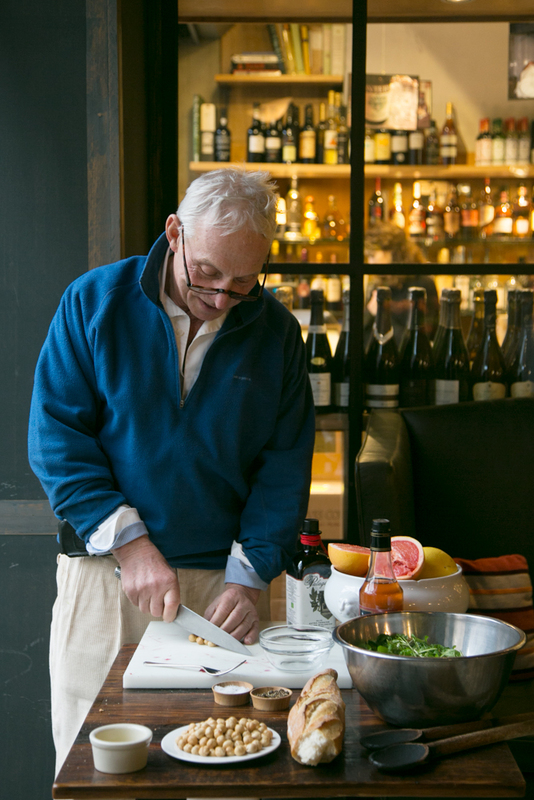 Eli Zabar was hardly impressed when I credited him for my most formative food memories; he gets that all the time. He once procured a sizable loan on a Manhattan condo building by presenting the banker with some of his famous brownies. The banker, no fool, knew those brownies well, and he knew Eli was good for the money. When Eli and I met up, I thought we would simply make a salad together. Instead, he had planned a 4-hour tour. 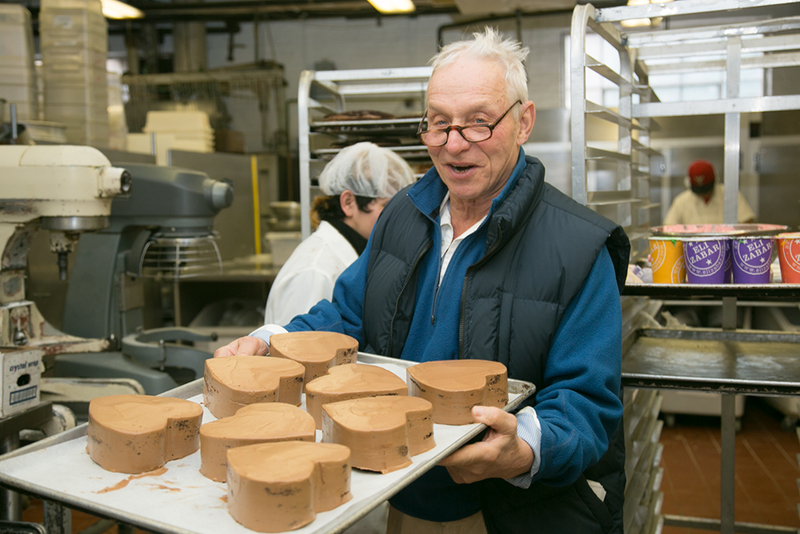 We made our way through the industrial bakery where hundreds of cakes and heart-shaped cookies were being made for Valentine’s day, past the massive table covered in long sheets of rugelach dough, traversed the grand hall dedicated solely to the fine art of the croissant, and over to the industrial ovens, where rows and rows of babka were browning. 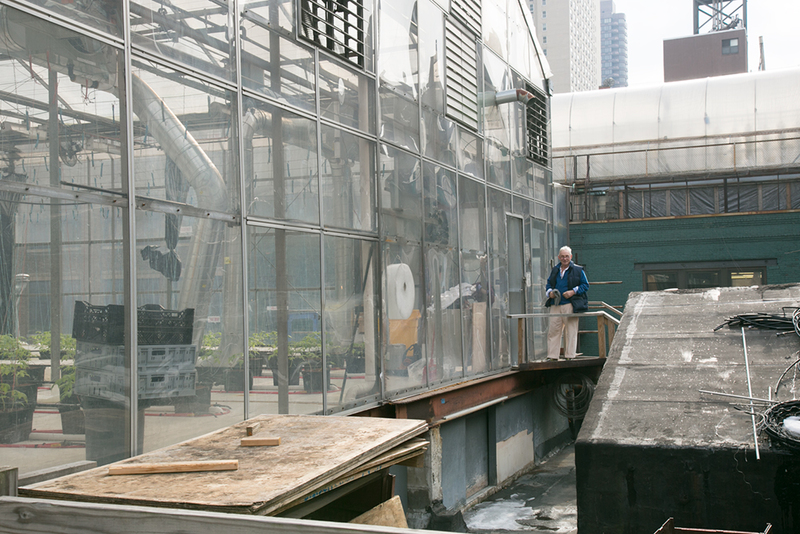 It was warm in this room, and smelled incredible, and Eli stopped there to present me with his genius revelation — in an effort to harvest the excess heat thrown off by the ovens, Eli built rooftop greenhouses where he could grow his own greens for the market and his restaurants. And the best side effect of this plan? The greenhouses smell like freshly baked cookies and cakes. A little slice of heaven exists on East 91st street. 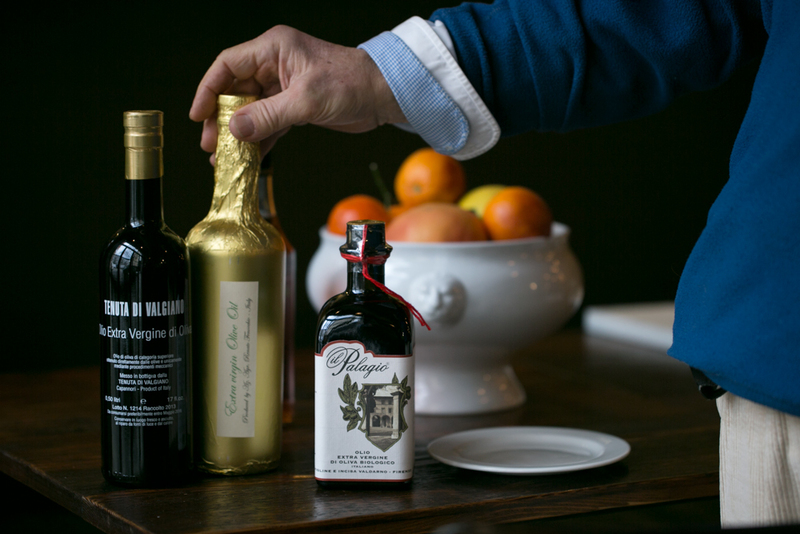 It’s no accident that Eli has an eponymous empire that produces everything from olive oil to jam, that includes markets, restaurants and take-out cafes. Eli never stops moving. Even as we shared our salad, he stood up, describing in detail the drastic distinctions between three different types of olive oil he had in stock. 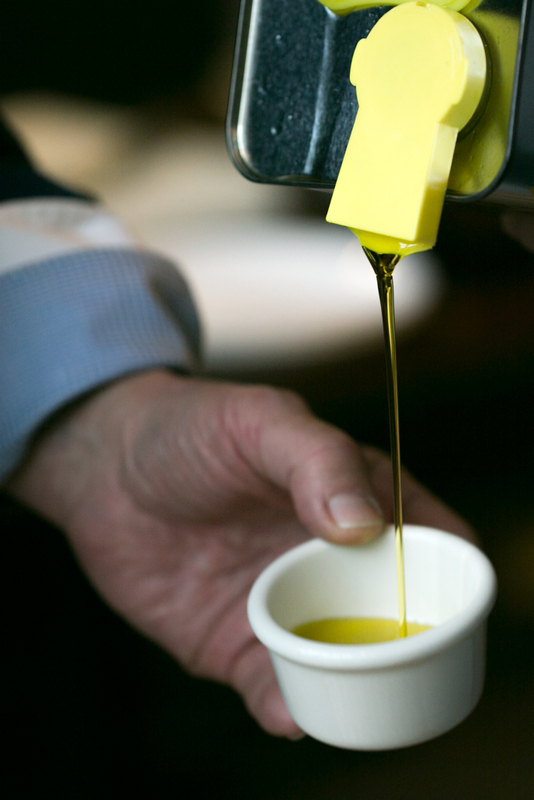 When we were done dipping our bread in the tiny ramekens, he casually threw back his head and took a shot of the remaining Italian oil. This is an example of a man who loves what he does, and whose success is directly proportional to his passion for food. 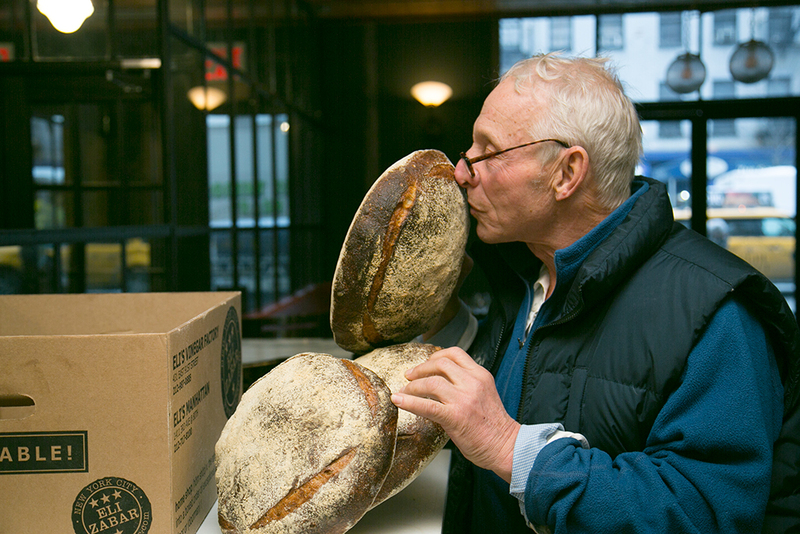 Eli Zabar, you are my spirit animal! Julia Sherman: How did you get started in this business? JS: Did you always imagine that this would become an empire of sorts? EZ: I had no idea that this would become an empire. All I wanted was to operate my little store by myself. I knew there were a lot of people in the business of cooking and baking who were quite old; their children did not want to take on their family businesses. I wanted to carry on making food that was really good. JS: You don’t just sell food, you make a slew of products. 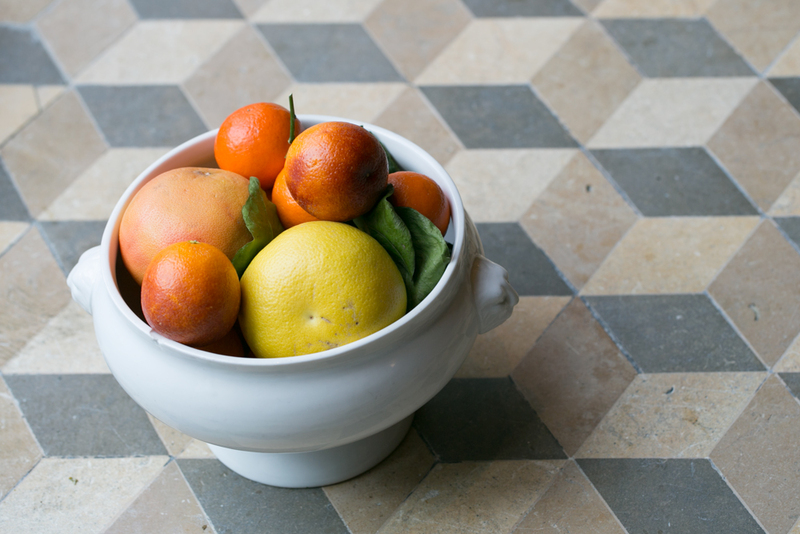 What are some of the culinary projects you undertake in your home in the South of France? EZ: In our home in France, we grow rosé grapes and make vinegar from the wine, we grow apricots and make jam. I do a lot of my brainstorming there, and I use the old stove and wood fired oven I have there to develop recipes and techniques. JS: Take me through a typical day. Do you ever stop moving? EZ: A fairly typical day will start with a meeting with my architect, who helps me with all my projects: opening new stores, moving existing spaces around – it’s an endless conversation. Then, I go visit my stores and meet with the chefs. I go to the restaurants and pick the menus with the chefs. The menu at Eli’s Table is recreated everyday based on what is new and fresh in our market. Then, I’ll walk through the bakery and talk to the pastry chefs, and I will offer an idea of what I would like to see done. By the afternoon, I stop moving. JS: With your day spent walking though your shops and bakeries, sampling and quality testing your infinite goods. Do you have an appetite for dinner? EZ: Yes, I do! I don’t really have a lunch. In the morning I have some slices of my health bread toasted with coffee and then graze, but I’m starved when it comes to dinner. I like to eat early. JS: When did you start the rooftop garden? 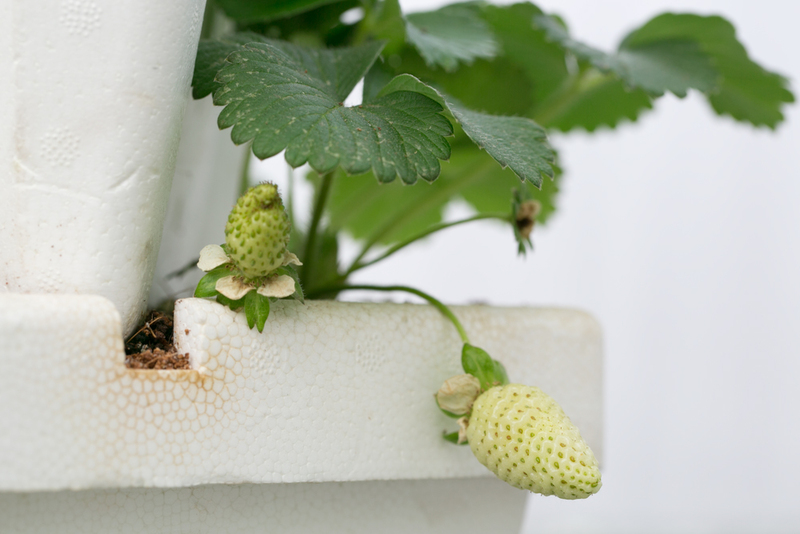 Was this your first garden project? 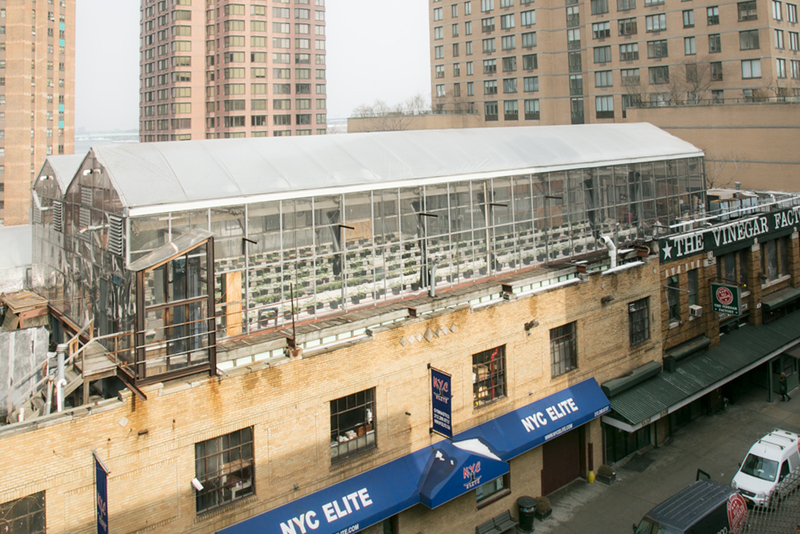 EZ: I started the rooftop greenhouse in the mid-nineties. 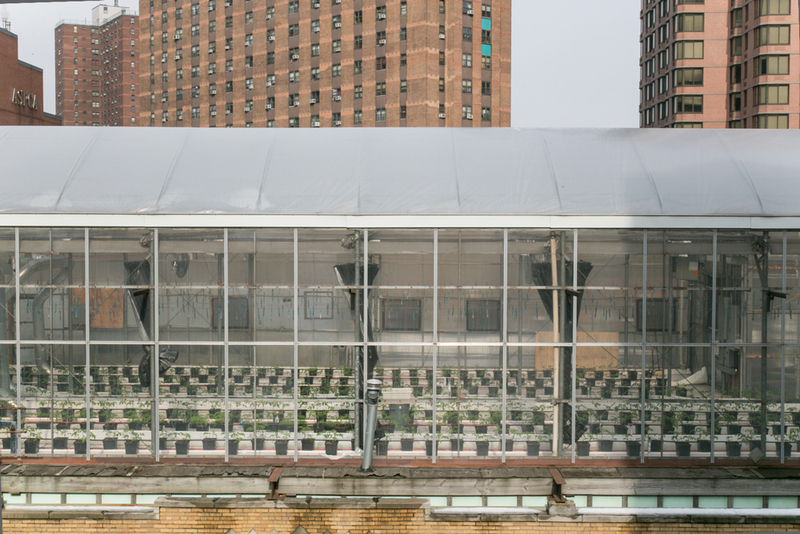 I really wanted tomatoes in the winter, and I wanted to find an interesting solution to take advantage of the rooftop space. Our pastry kitchen runs 24-hours a day, pumping out all this heat, so I figured we could capture some of the heat that was exhausted with a greenhouse. I had no experience with greenhouses, but this was not my first gardening project. I had a personal garden at my house in Provence, where I grew tomatoes, strawberries, herbs, and string beans in the summer. JS: What inspired you to pioneer overtaking the farmer’s market in Amagansett? 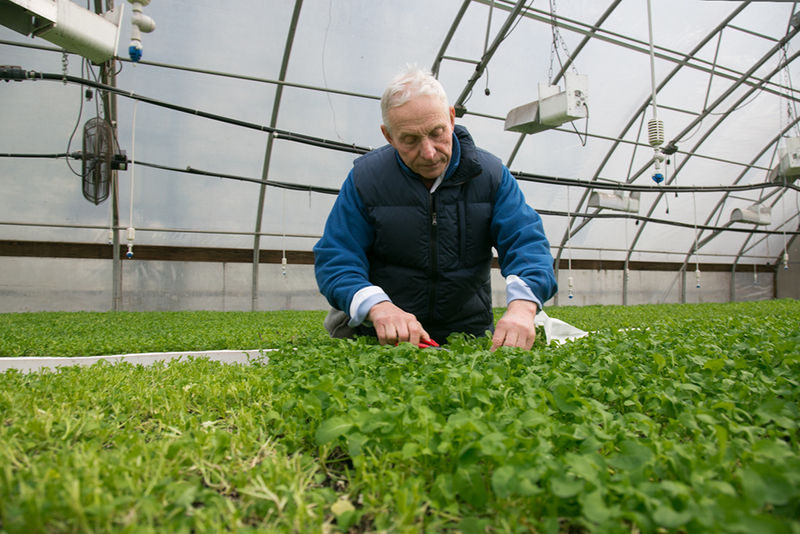 EZ: There were a few things that led to my operating the Amagansett farmers market. In the summer of 2008, the Peconic Land Trust acquired the property and looked for someone to operate the market mid-summer, and chose me – there were not very many qualified people who could run the iconic market. I’ve been interested in farming for a long time, I’ve been growing in my greenhouses on top of my Vinegar factory for years. 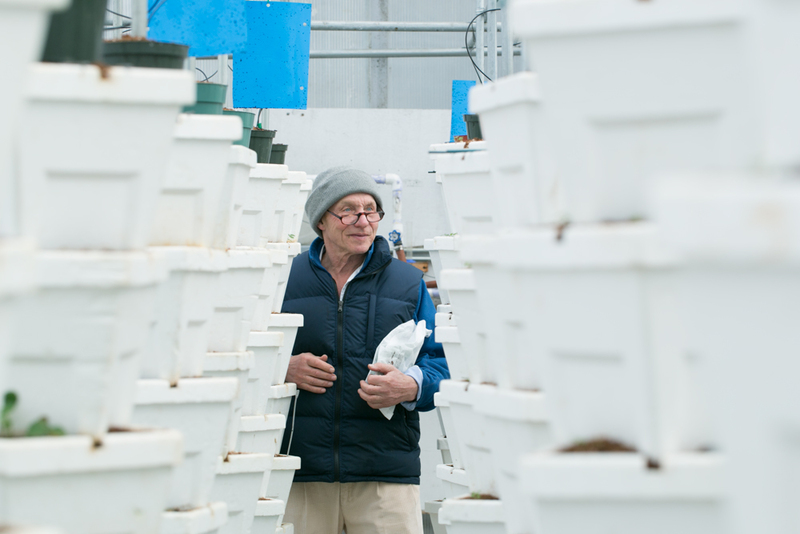 And, I have dealt with farmers on the East End and North Fork for years and found this was my opportunity to develop deeper relationships with them, to see what they’re growing and how they are growing. JS: We sampled three olive oils in the process of making our salad. Which was your favorite and why? EZ: I cannot say I love one more; each olive oil has a slightly different use. But, the oil from Tuscany, the Valgiano. has the most layered flavor, it can be eaten by itself. That oil has a very interesting spiciness, perfect drizzled onto some lettuce. JS: Why should people buy $20 hazelnuts? EZ: Those hazelnuts were really extra-ordinary, I have never tasted anything like those with as intense a hazelnut flavor! They came from Piedmont, Italy where the best hazelnuts are grown. All you need is a few nuts to be completely happy. There are so many nuts here that are rancid or going rancid, and I don’t think the public is really aware of what nuts are good to eat or not. Nuts are very volatile. I think $20 of nuts that are really amazing is worth hundreds of dollars of mediocre nuts. JS: When was the last time you shopped in a New York grocery store that was not your own? EZ: Well, there’s a little Korean market around the corner from where I live that I will go if I am missing anything for dinner. I haven’t really shopped in any grocery store, I would not know how! Years ago, my wife gave me a list of things to buy at a supermarket and I got everything wrong. Everything. JS: You spent about 4 hours making salad with me in the middle of the work day. For an incredibly detail oriented guy with such a large a complex business you don’t seem to be very stressed. What’s your secret? EZ: The thing is, I spend the day doing exactly what it is I want to do. I handle the problems I want to handle. When you do what you want to do and not what you have to do, a lot of the stresses of life and the pressures of the workplace are removed. Be what you want to be and work towards something you love. JS: You said you are the best shopper around. Are you methodical about sourcing products for your stores, or are you guided more by gut and instinct? EZ: It is serendipitous when I find things. I love markets for fresh produce and meats. I really test: I lift things up and put them to my nose, I though things, taste things. It is very hard to teach people to shop well, I have the instinct. JS: What do you do when you are not working? EZ: Everything in my life is a mixture of work and pleasure: I like to cook and eat with friends, I especially love to have breakfast with friends on the weekend. I do play tennis and ski, I love to travel and explore.